Granny Dot Baby Blanket Free Crochet Pattern by Kathy Olivarez. 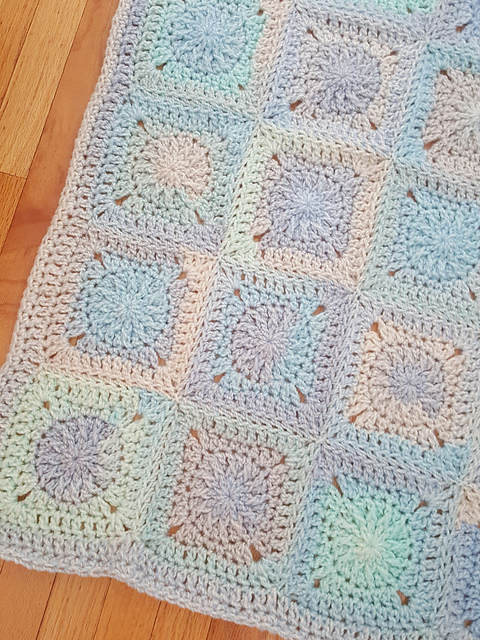 The Granny Dot Baby Blanket is a quick project done in bulky weight yarn with a size N crochet hook. It can be made in a weekend! Self-striping yarn makes each square unique and front post stitches make the dots in the center of the square stand out. 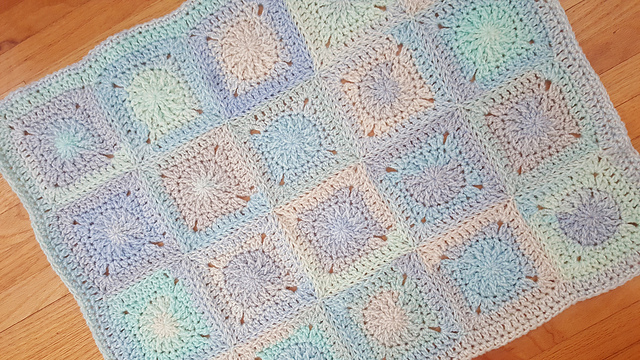 The 20 squares are sewn together to make the blanket and the simple border finishes it beautifully. 26 inches wide by 32 inches long.